Choosing the perfect photo printer is easier than it sounds and there really are other factors to consider apart from the price. Your shooting style and personal touch will define what you need from a photo printer. Knowing what features to look for can also help you save money by weeding out printers with unnecessary features that drive up the price of your printer unit. Where to get started? Like cameras, photo printers are available in a wide price range based on features designed to appeal to certain levels of photographic skill. Casual shooters who want on-demand prints of family and friends don’t need a wide-format pro-grade printer costing several thousand dollars. Conversely, someone who is looking to print gallery-quality proofs of their shots won’t get satisfactory results with printers that don’t have the right range of inks, for example. Amateur/Casual. If you just want some 5×7 prints of your family’s recent holiday vacation, there are a lot of easy to use and budget friendly options available to you. 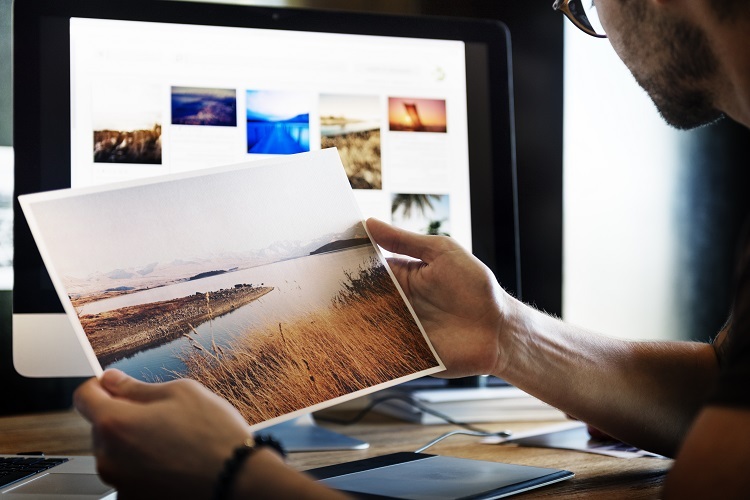 In most cases, casual photographers don’t need a sophisticated printer to print family photos or personal copies of pictures taken from their latest travel. A basic photo printer, either inkjet or dye-sublimation, can easily get you the prints you need. Intermediate. Most people who shoot photographs as a hobby but with more technical intent and would like said technical details to show in their prints can be classified as intermediate photographers. For those wanting a little more, this requires a printer that’s one level up but doesn’t cost an arm and a leg. Professional. The professional photographer will have different needs than the two categories preceding. 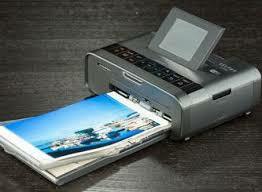 Selling your photos in print will require a printer that produces nothing less than top picture quality. You also need to consider paper and ink interactions, as well as the archival nature of your print. No one wants to buy a photo only to have it fade and distort in a matter of months. A professional photographer’s specialty will greatly determine what printer to choose. There are printers with features that appeal to a landscape photographer and there are printers meant for someone who specializes in monochrome photography. Your inkjet photo printer will come standard with one of two kinds of ink. 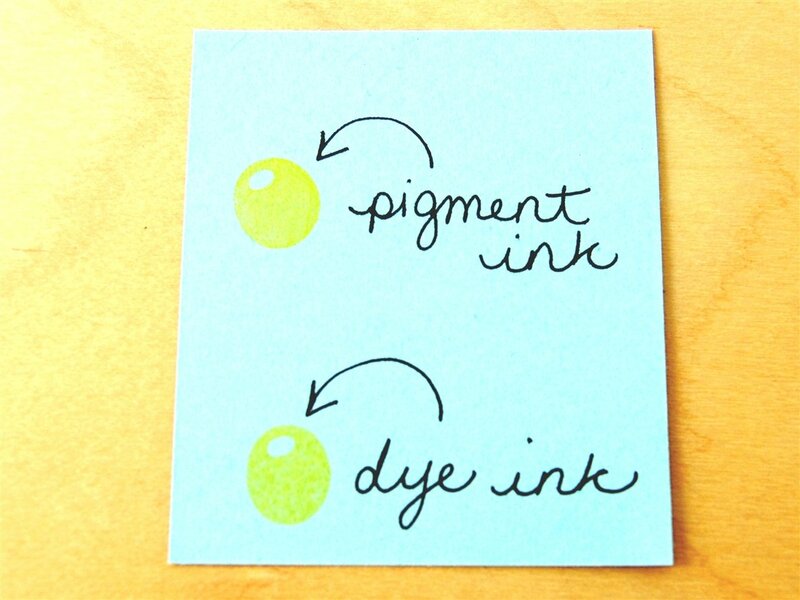 The first, dye-based ink, is most common. Dye-based inks are affordable and can produce a wide gamut of vibrant colors ideal for making your images pop. One issue with dye-based inks is they tend to fade faster compared to photos printed with pigment. Pigment inks–specially when paired with the right paper–can last more than fifty, seventy-five, or a hundred years. They tend to be more costly, however, and your average budget photo printer often doesn’t feature them. Another photo printer variety, known as dye-sublimation printers, uses a process similar to inkjet printing that uses heat to adhere pigment to the page. 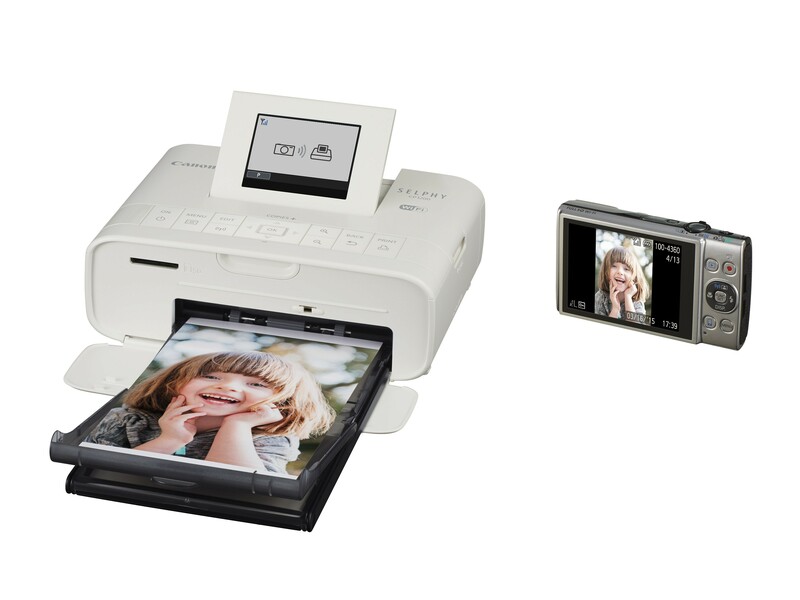 Popular compact photo printers such as the Canon Selphy line use dye-sublimation processing to print photos on the go. Usually, dye-sub printers use pre-packaged ink and paper sets that you install into the unit. Contrary to popular belief, your inkjet printer doesn’t mix colors to create your image. Each drop of ink on the page is individual, but the process of layering sheer amounts of ink onto the page creates the visual effect of a mixed tone. Smaller, more densely packed droplets mean sharper images with less digital noise. 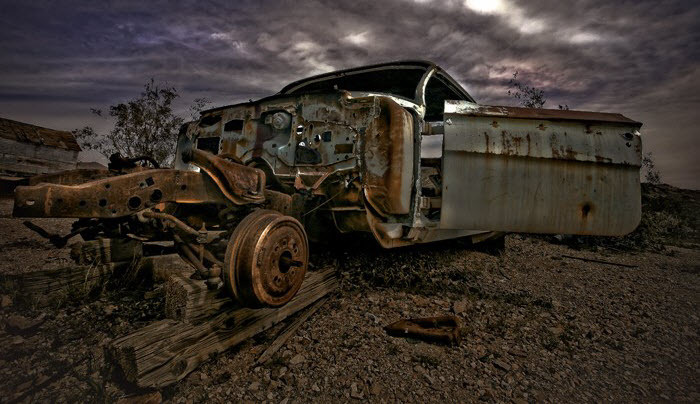 This density is especially important for HDR photographers, whose high color and high contrast images require color correctness and sharpness to stand out. Manufacturers measure ink delivery systems in picoliters. High end printers can produce droplets as small as 3.5 picoliters according to BreathingColor, and printer technology is improving sharpness more every year. The experts at SwissQPrint suggest nine picoliters as the starting point for fine art printing, but today you can often find printers with more precise droplet sizes for an affordable price. 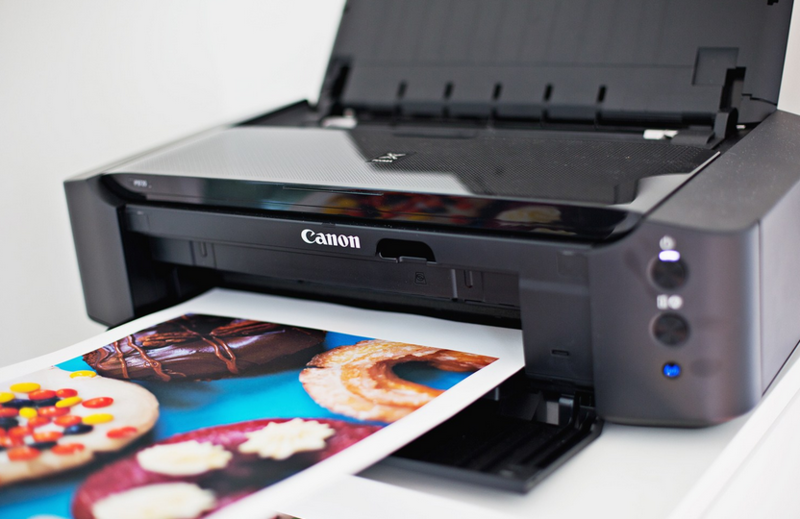 Canon and Epson are the two manufacturer brands leading the pack of top photo printers. 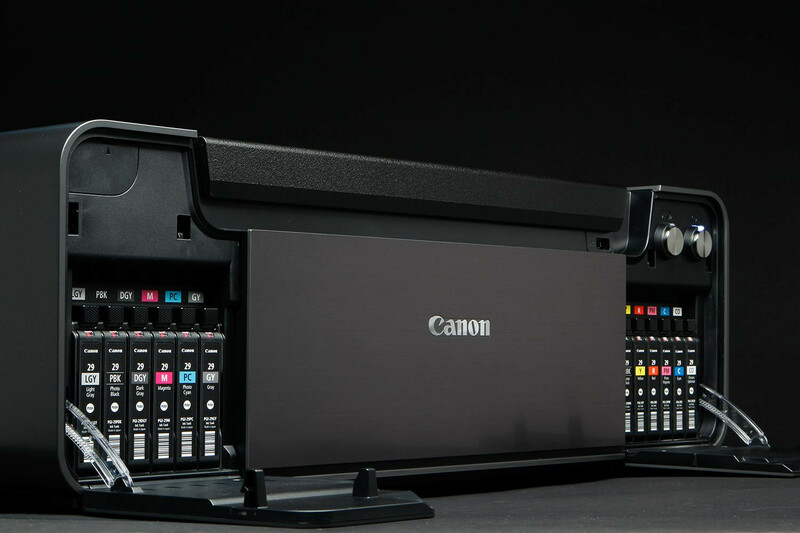 Having their own line of photography equipment gives Canon a major advantage over other printer manufacturers. Epson may have some crappy budget printers but their line of photo printers stands on its own. Budget printers you’d commonly find in your home office use four colors to create all the colors they print: cyan, magenta, yellow, and black. Using only these four hues, you can create a range of dynamic tones that closely mimic the real world. For photographers, however, that simply isn’t good enough in most cases. That’s why most printers designed for photography use more than your standard four ink pots, often six, eight, or twelve. Higher level professional models will include different ink pots for matte and glossy finished papers as well. If you shoot predominantly in full-color HDR, finding a printer with a more extensive range of ink pots is as important as your droplet size. Black and white photographers want printers that have both black and grayscale ink pots to prevent color casts and enrich the range of intermediate grey tones and richer blacks your printer can produce. Pronounced zee-clay, giclee describes prints that use a special high-resolution process that creates exceptional results. Giclee prints are themselves inkjet prints, but thanks to a minimum 300 dpi resolution and custom acid-free archival print quality, they are designed to create sharper images that last longer. They also cost more, with giclee-caliber printers ringing up at much more than your standard photo printer at the register. 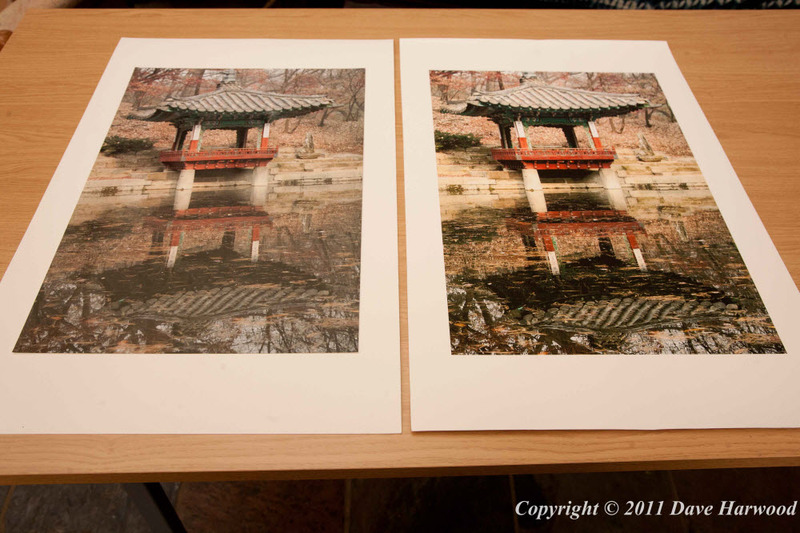 If you’re printing photos for fine art or sale purposes, investing in giclee may be well worth the investment. It’s even a bit of a catchword that you can use when marketing your prints! Not everything about good photo printing is hardware. Software, specifically in the form of your printer driver, makes a big difference when sharpness and precision are on the line. Your standard photo printer driver will allow you to adjust your print values, color saturation, and usually customize to the general type of paper you’re using. For professionals, the ability to control the minutest printing values can lead to investing in a custom printer driver. Raster Image Processors (RIPs) give you flexibility when it comes to not only color tone—they can help you anticipate certain lighting situations, such as different gallery lamping, or customize to a particular type of media (paper, canvas, et cetera) for the sharpest, richest results. Like most things in pro-grade photography, they don’t come cheap, though. Two of the most well-known custom drivers are the QuadTone RIP and ImagePrint RIP. Technology gives us the tools to create beautiful oversized prints that only a few decades ago would have been impossible. High pixel rates and medium format DSLR cameras take in an incredible amount of data that, when presented on a grand scale, create the most vibrant detailing with minimal digital noise. This much is doubly true for landscape photographers, whose blown up panoramas can engulf the viewer and replicate the authentic experience of nature. Large format printers of all sizes can help you achieve this stunning look. Given all this information, what are some great printers for each price range? Canon Selphy CP1200 Printer. The Canon Selphy CP1200 is a no-fuss, easy-to-use dye-sublimation printer line made specially for the portable printing of 4” x 6” photos with resolutions of up to 300 x 300 dpi. The Selphy is easy to use and gives you great results instantly. 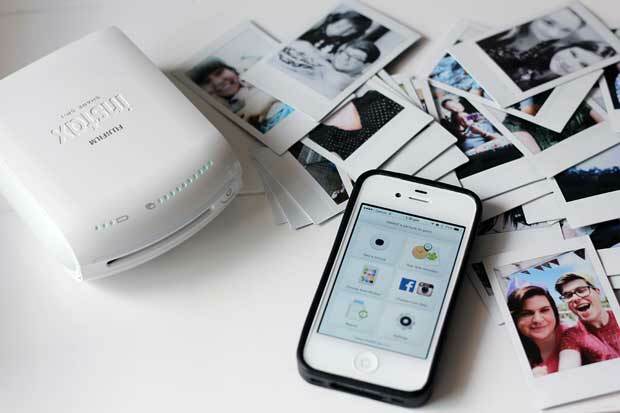 FujiFilm Instax Smartphone Printers. If you primarily shoot from your iPhone or Android, why not use a printer that is specially designed to connect with a smartphone? The Instax Smartphone printer is a compact 5.2” x 1.6” dye-sublimation printer that weighs just 8.8 ounces (without film)—that means you can take it anywhere! Instax is great for printing photos for friends on the go, and the only downside to this printer is that it prints in a small format (1.8” x 2.4”). 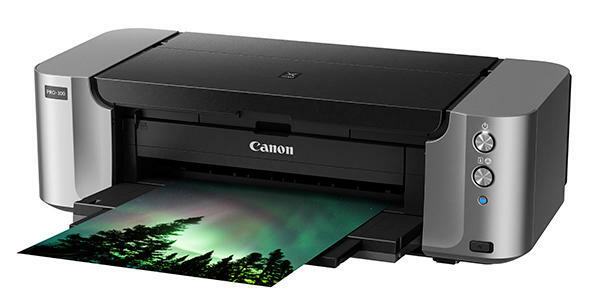 Canon PIXMA MG5720 Wireless Photo All-in-One Printer. Shooting your own family photos is one of the great benefits of learning photography. Being able to print them in high definition from home is another benefit, and the PIXMA MG5720 is the perfect model to help you do just that. It features the ChromaLife100 system, which combines enhanced FINE print head tech with Canon inks and photo papers to produce borderless, long-lasting clear photos. To ensure color richness and accuracy, MG5720 features five individual ink tanks, plus it switches between pigment black for crisp text and color dye for vivid colors. Max resolution of 4800 x 1200 color dpi. 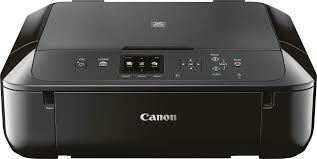 Canon Pixma iP8720 Wireless Inkjet Photo Printer. If you’ve been shooting photos for a while, getting print results that accurately match your creative vision becomes all the more important. The PIXMA iP8720 offers high resolution quality at a price that won’t break the bank. It prints at a maximum output of 2400 x 9600 dpi with striking and vibrant color great color photo printer. The iP8720 features a wide format feed system and six color ink system designed to give you top quality gallery-sized prints. The iP8720 is not outstanding when it comes to monochrome printing, however. If you’re a black and white photographer you’ll want to look into . . .
Canon Pixma PRO-100 on the other hand is a budget friendly model that provides superior monochrome results. And it’s no slouch when it comes to color printing either. The PRO-100 prints at a vibrant 4800 x 2400 dpi for crisp and clean images. This printer has a pretty steep price tag of $380 so why not save on Pixma Pro-100 cartridges with CLI-42 ink bundles? Canon Pixma PRO 10. The Canon Pixma PRO 10 is a professional photographer’s dream. It utilizes a 10 color LUCIA pigment ink system with individual 3 black inks designed to provide amazing monochrome photos. It also features a Chroma Optimizer that ensures inks apply smoothly on paper for reduced metamerism and bronzing. The Pixma PRO 10 also uses an Optimum Image Generating System which chooses the optimal ink mixture for every area of your image. 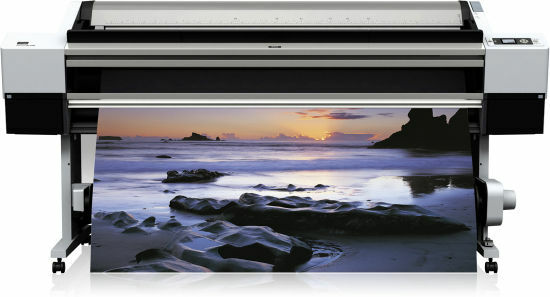 Print photos as big as 13” x 19” with resolutions of up to 4800 x 2400 dpi. The Pro 10 unit costs around $650-700 but you can save 53% off the price of an original Canon cartridge by using compatible ink for the Pixma Pro 10. Epson SureColor P800 Inkjet Printer. 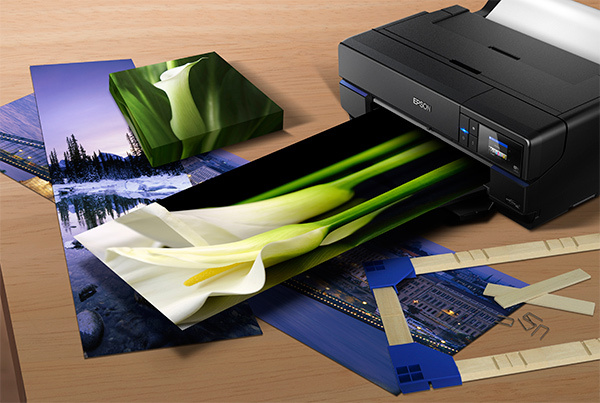 For a wide format high def printer with quick delivery, the Epson SureColor P800 can’t be beat. It’s 17” x 22” feeding apparatus produces images up to 2880 x 1440 dpi in resolution. It’s also fast—you can print an 8” x 10” full color image in as little as 113 seconds with no image quality loss. The Surecolor 800 uses a Micropiezo AMC printhead with nine pigment-based ultrachrome HD inks for lifelike photographs. It also features an advanced black and white mode for monochrome photogs. Finally, it’s enhanced Variable Droplet tech can produce ink droplets as small as 3.5 picoliters, which is ideal for presenting lifelike sharpness in any image. Epson Stylus Pro 9900 Inkjet Printer. Another top grade professional photo printer from Epson, the Stylus Pro 9900 features a Micropiezo TFP printhead that draws ink droplets from 11 individual color pots as small as 3.5 picoliters for the utmost in image resolution. It creates lifelike accurate colors thanks to Epson’s High Dynamic range pigment inkat a maximum resolution is 2880 x 1440 dpi. Ideal for black and white printing, the Stylus Pro 9900 uses black, light black and light light black for smooth tonal gradations and contrast. Thank you for your ideas on printers. I wuold really recommend Epson Stylus Pro 9900 Inkjet Printer due to its design and resolution.